Next time you are in San Francisco – or somewhere around the Bay area – here’s a winery you can plan a trip to and be at in about 2 hours. 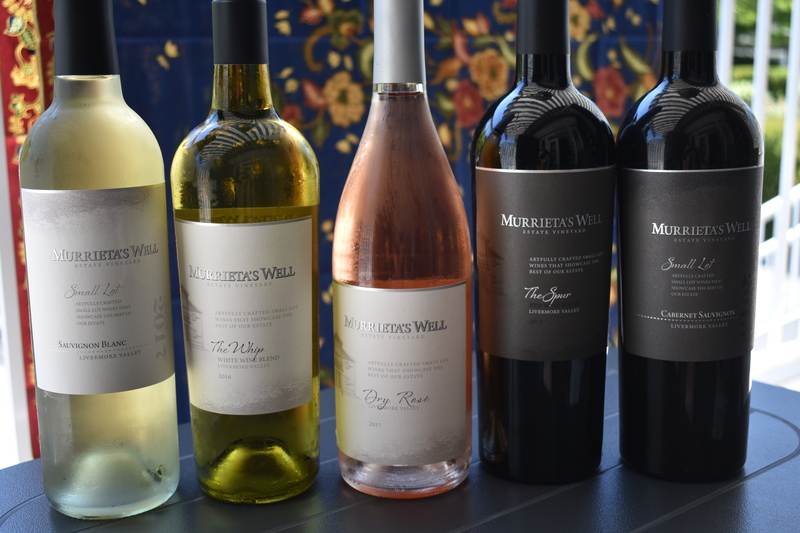 Murrieta’s Well is one of the original wineries of the Livermore Valley AVA where they’ve been growing grapes since the 1880s. 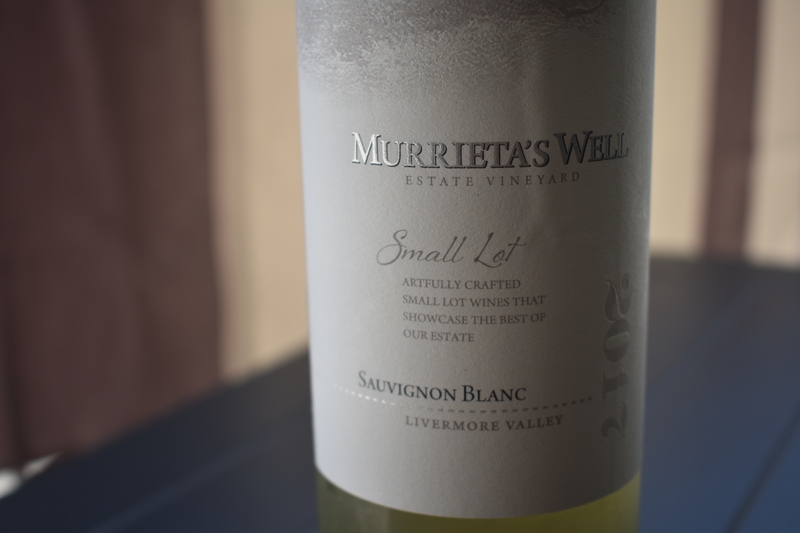 Since 1933, Murrieta’s Well has been part of the Wente family’s estate – neighbours and famed producers of the Wente Chardonnay clone which the majority of Chardonnay grown in California hails from. In the early 1960s, Livermore had as much area under vine as Napa Valley did. However, it remained largely unknown, while Napa eventually became world famous, largely because of its wines that were part of the Judgement of Paris in 1976. The Livermore Valley, which lies in an unusual east/west pattern (most lie north/south) gets cool breezes from San Francisco Bay which ensures it has good diurnal temperature swings (cool nights and mornings, followed by hot days). This is absolutely vital for premium grape growing – which is obviously happening here, because these are high quality, delicious wines. I tasted through some of their 2016s and 2015s. All are available for direct shipping off their website to American addresses, and at various restaurants throughout the USA. The Whip (US$26) – Whip it good. This 2016 13.5% abv blend of 33% Sauvignon Blanc, 24% Semillon, 21% Chardonnay, 12% Orange Muscat and 10% Viognier has a grassy and floral nose with accents of orange oil, stone fruit and kernel. The fresh palate is dry but fruity with good acidity and flavours of gooseberry, mandarin, apricot and green leaf. 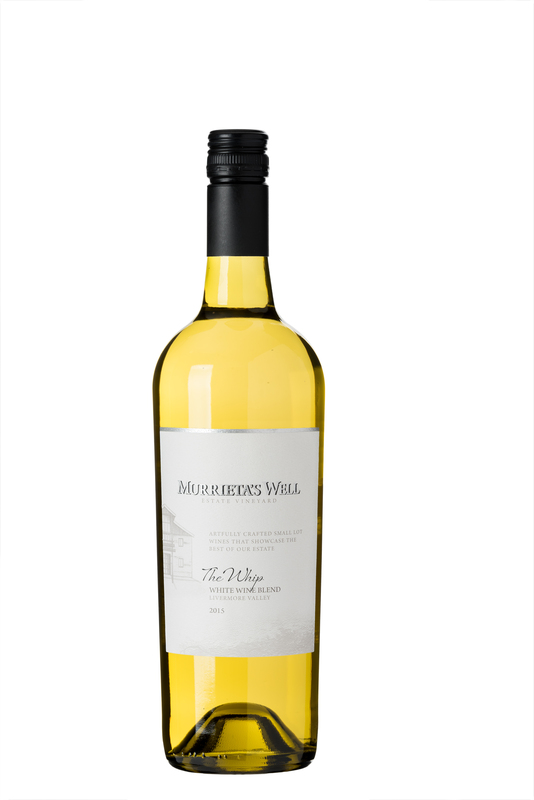 Sauvignon Blanc, Small Lot (US$35) – Get this – the vines producing these grapes are descendants of cuttings from Chateau d’Yquem planted at Murrieta’s Well in the 1880s. 100% Sauvignon Blanc means this wine shows pink grapefruit and lime blossom, but I also found mango and other tropical fruit. Some barrel time on the lees has created subtle complexity and great mouth feel. Dry Rosé (US$30) – Mostly Grenache and Counoise with some Mourvèdre, this wine is a beautiful shade of pink cotton candy with a subtle nose. The palate shows strawberry cream, white peppery spice, and watermelon. Dangerously drinkable. 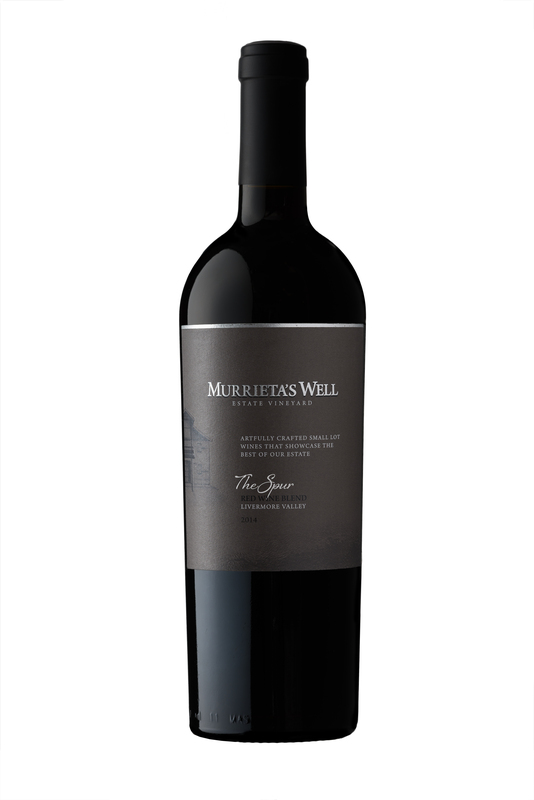 The Spur (US$35) – Mostly Cab Sav, this 2015 also includes equal parts of Merlot and Petite Sirah, as well as some Petit Verdot and Cab Franc. Green pepper, blueberry and plum mix with vanilla, clove and light leather. Delicious. Cabernet Sauvignon, Small Lot (US$58, 2015) – Last but not least, I opened this one with my Coravin. A vast majority of Cab Sav is complemented by touches of Petit Verdot and Malbec to produce a nose and palate of black cherry and blackberry with mocha and green pepper on a basalmic base. Soft tannins make this accessible and drinking now. 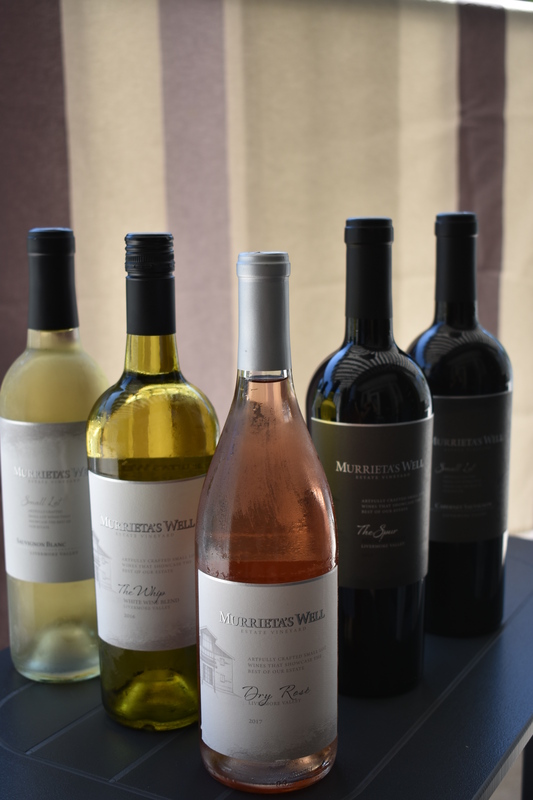 This entry was posted in California, OTHER, RED, ROSE, WHITE and tagged cabernet franc, Cabernet Sauvignon, california, counoise, grenache, Livermore Valley AVA, malbec, merlot, mourvedre, Murrieta's Well Estate Vineyard, orange muscat, Petit Verdot, Petite Sirah, pink wine, rose, Rose wine, sauvignon blanc, semillon, viognier, wine. Bookmark the permalink.